What is the Parking Network website for? 1. What is Parking Network? Parking Network is an online community, founded in 1996 in cooperation with the EPA. 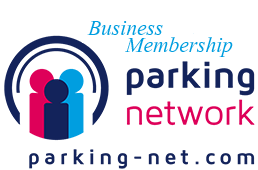 Today Parking Network has grown into the world’s largest information source on parking and even organizes its own user group events. Many leading companies from the parking industry worldwide choose Parking Network as their marketing platform. The IPMI, NPA and many more major associations support Parking Network. 2. What is the Parking Network website for? The parking industry is overloaded with information. Professionals do not have the time to read it all. Parking Networks gives professionals in the parking industry the opportunity to find well-structured qualified information in one place on the internet. The information on the website is daily updated. Parking Network also gives you the opportunity to add information to the platform yourself. For example, you can publish your company’s press releases in our News Section or add your open vacancies to our Job List. We always make sure that the information that is published on our website is valid, recent, informative and parking-related. Therefore we review all submissions before publishing it on the website. Parking Network is available at any time, any place and without any costs. Parking Network also provides a Weekly Update by email which includes all the important developments from the past week. If you have an account on the website, you can simply check the “Receive Newsletter” box when you edit your profile information. You can also send an email to info@parking-net.com and request to receive the newsletter in your mailbox every week. 3. What can I find on the website? Here you can find addresses, company profiles and other information from leading companies in the parking industry. You can register your company in our Industry section and become a part of the Yellow Pages for the parking industry which counts up to 1700 companies so far. Parking Network gives you the possibility to add information that you would like to see online and gives you full control over your own publications. Members can connect press releases and job openings to their company profile, and even company- and product information and showcases. Get access to our international tender information service and find all the latest Requests For Proposals (RFP) and Requests For Qualifications (RFQ) related to parking. We update the Tender section several times per week. To view all the tender details, a Business Membership is required. In our Jobs section you can find all the relevant parking related jobs around the world. The Jobs section gets updated several times per week. We present the jobs sorted by sector and provide an easy Apply-button. You can submit your own open vacancies to our Job List and it will be shown to all of the Parking Network visitors. Every month we have over 21.000 unique visitors and more than 65.000 visits! In our Showcases section, companies in the parking industry from all over the world showcase their newest products, services and solutions. To submit a showcase, a Business Membership is required. In our Education section you can find companies that provide education for professionals in the parking industry. Does your company provide parking-related educations? Add the education to our database to attract more participants! View recent video interviews with CEO's, managers and other parking professionals from companies worldwide in our Interviews section. Promote your event in our Events section and check out the next national and international parking events. All the important parking events are listed in our calendar. Parking Network is an interesting and easy way to interact with people in your working field, and an effective and efficient method to generate new business contacts. After registering yourself for free you will get access to your own profile and will be able to manage your own items. For example, you can add and edit your own news items, open vacancies and so on. Our Literature section encompasses all the publications and crucial documents required to boost your knowledge of the parking industry. Here you can find up to the minute detail about available books, ebooks, reports, magazines and journals containing the vital information that will give you the edge over your competitors. All the national and international parking associations are listed in our Associations section. Find addresses, information and much more from leading parking associations from all over the world. Parking Network provides parking-related Web Events. By joining our Web Events for FREE you and your employees get the opportunity to interact with professionals from the world’s leading companies in the parking industry and learn about the newest technologies and developments. Parking Network delivers Web Events with all possible topics that are relevant in the parking industry. In our daily Blog we post the latest newsflashes about parking. Every day there is a different subject, from parking payment options to the construction of new design car parks. Everything that is relevant, recent and newsworthy will be discussed in our blog. On the About Parking page you can find everything there is to know about parking. From parking techniques to payment methods and from current trends to different types of parking facilities, and more. This online ecyclopedia on parking is in constant development and gets updated on a frequent basis! 4. How can I become a member? Everybody can become a member for FREE. After registering you will get access to your own profile and will be able to manage your own items. For example, you can submit your own news items and vacancies. On the upper right side of the screen you can find the dark blue “Register for free!” button. You can also sign up with your LinkedIn profile.